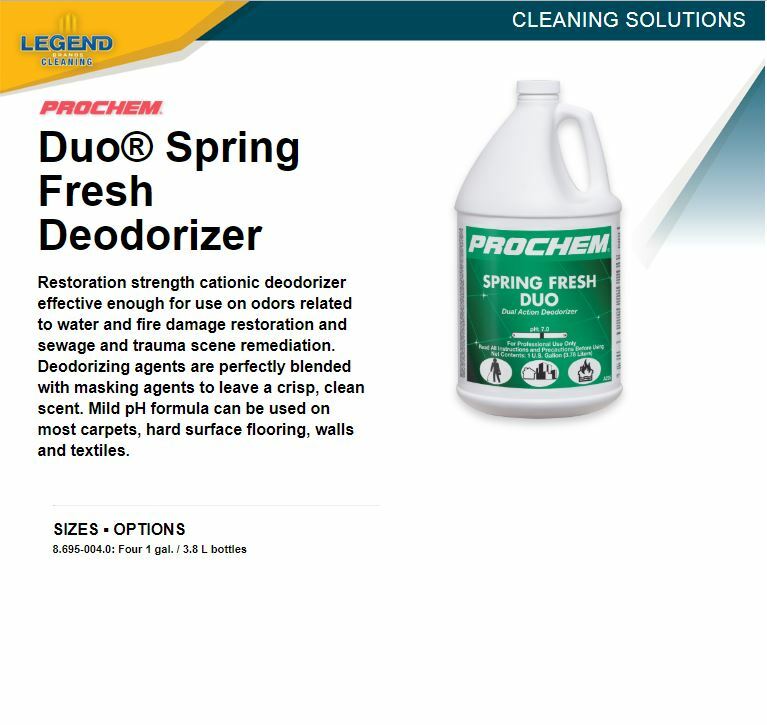 SPRING FRESH - Neutralizes odors caused by decomposing mold, mildew, fungi and bacteria. Destroys odor-causing agents. Perfect for carpets, fine fabrics and nonwovens. Not for use on antistain carpets.